These works are often described by people as “the operas that Bach never wrote” in essence: they’re incredibly dramatic. But they’re also incredibly sacred: they’re devotional, and they are reflective, and meditative. For me, with my slightly more purist hat on, I very much enjoy the simple and straightforward presentation of a Passion, in a rather more austere way without the movement, without the gesture and the action…the drama is there in the music. It’s very obvious for anybody who’s listening to what’s going on. The story of course is incredibly well-known. I do wonder sometimes, if you put another layer of complexity on top of that, whether that’s just one too many things in the mix? So you can see that I’m slightly conflicted on this one, in that I admire so greatly these interpretations that have been done, because I think that it’s probably one of the biggest challenges for a stage director to do this. And we should mention also that it’s being done with increasing frequency in the opera world with Händel oratorios. You’ll often hear it said that the Händel oratorios – I’m thinking of pieces like Theodora and Samson and Hercules – with their religious stories: they are often described as being inherently more dramatic than some of the actual operas! That’s often the argument presented. Of course it’s exciting for the listener also because of the heightened level of engagement from the chorus; there’s much more diversity within the genre: you get your aria, but then you get a nice big chorus and then a recitativo accompagnato. It seems to lend itself, because the music is incredibly dramatic. But again, opinions are divided on whether it’s entirely necessary given that there are so many unexplored operas still to be put on the stage from the 18th and 19th centuries that are probably completely worthy of being considered part of the musical canon. But in the case of Bach, I’m tempted up in Oregon at some stage to do something like this and to explore different ways of presenting Bach, and I have a particular idea in mind. It depends upon assembling the right people and the right team to do it. So that one can preserve completely the musical integrity whilst heightening the impact of the presentation insofar as the audience is concerned. If you take those two goals then I think that this can be an incredibly exciting thing to do. Walter Bitner: In works like the Passions, which have a primarily religious story to them – they’re deeply serious – people are accustomed to experiencing those works in the concert hall in a way that allows them to remain private, with the level of intimacy they choose to have with the music. They’re sacred works, but many of the people who appreciate these works are not necessarily pious Lutherans. There are big differences in the relationships that individuals in the audience have with the music. When you experience it in the traditional, austere concert presentation, each of us can remain alone in our appreciation of the work. When you make it more theatrical: you have different parts of the ensemble in different parts of the hall, and you involve all of these extroverted kinds of emotional displays by the singers and the chorus – and to some extent the instrumentalists – then, it drags those feelings more out into the open. MH: This hits on another interesting point: you mention “pious”, and I would perhaps add the word austere to that. Because in terms of Bach performance, historically there have always been two different paths to go down. There are those who see in his music intellectual perfection. 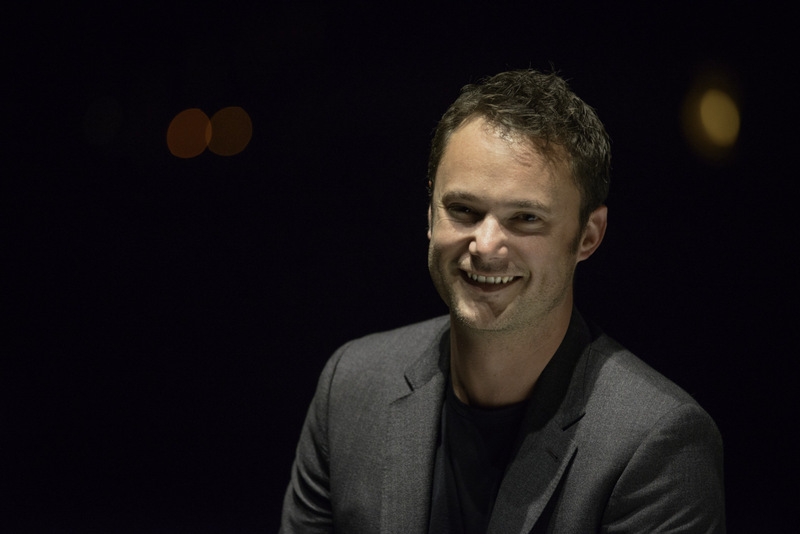 They see a lot of the music – particularly things like The Art of the Fugue and The Musical Offering really as completely cerebral music to satisfy the intellect. But then, I find it hard to imagine that Bach wasn’t also a hot-blooded emotional human being! When I listen to the music of his Passions, and the extraordinary way in which he sets the harrowing scenes of the Passion, the ways in which he conveys in such a direct sense the emotions that are portrayed in the story – I find it hard to put Bach on that pedestal, and to ignore this raw, human aspect to his music, the emotional aspect. It’s so completely clear what he is portraying. And therefore, any “dumbing-down” of Bach’s musical language through reverence or piety, as far as I’m concerned, is a “sticky wicket”! It’s a cricketing term, it means essentially: that’s problematic. Some would lead us to believe that Bach and so many of these other great figures from the musical past – because they’re unable to speak for themselves now and we don’t really know and aren’t able to interact with their characters directly – they tend to just find it convenient to place them on pedestals. I find that less helpful in sum as a musician because I’m fascinated to try and get to know the character of the composers through their music, rather than through the biographical or bibliographical content surrounding their lives and their works. For me, Bach was a very real human, conveying universal emotions that are very easy to understand. WB: To me, one of the most fascinating things about Bach’s music is it that on the one hand it expresses this epitome or apotheosis of cerebral achievement, but also an incredible diversity of emotional states. If you study The Well-Tempered Clavier – which is any keyboard player’s bible – the erudition with which the fugues are constructed, is second to nobody’s achievement intellectually! But the emotional rollercoaster of playing through those works! They’re all so different – some of them are exhilarating and thrilling to play, some of them are deeply touching and emotional. And so there are both of these sides to the man’s music. MH: Absolutely. And they co-exist. And they can, and they should. WB: Which is why Bach’s music touches us so deeply. I then asked him to share about his work with the Oregon Bach Festival. MH: I’ve now had two seasons at the helm: this is coming up to my third season. When I accepted the position, I knew I was fitting into some fairly sizable shoes. 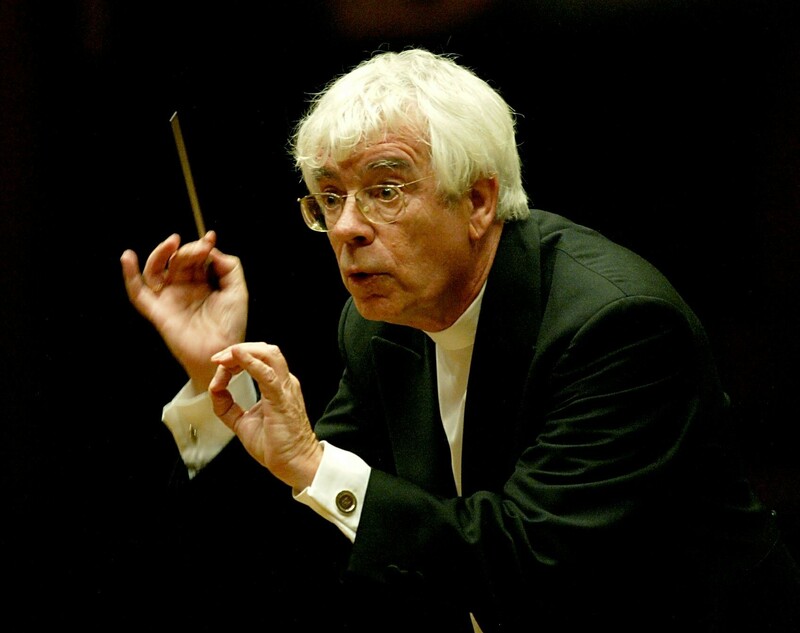 My predecessor Helmuth Rilling had been at the helm for well over 40 years: he founded the festival. He was an incredibly important figure, in Oregon, in American musical life: all the work that he has done on this side of the Atlantic investigating Bach’s music and sharing the beauty of the Passions and the sacred oratorios with modern symphony orchestras and modern symphonic choirs in America. It’s incredible, the impact of his music-making. Therefore, it was a daunting and completely thrilling prospect, because I saw that I had to do two things: I had to preserve all that was good about the festival that Rilling had introduced, and I saw that there was a great opportunity to introduce new areas of interest in the festival’s programming and planning. And of course, with my background, it’s obvious that I was going to want to put more of an emphasis on historical performance, but not at the expense of the modern symphonic performances that go on as well, because the Oregon Bach Festival stands for two things as far as I’m concerned: the extreme emphasis on the music of Bach, which traditionally has always been there, but also the hunger to explore the symphonic choral repertoire. It’s not just a Bach festival, it’s a celebration of everything that Bach inspired, essentially. Bach, the inventor of the modern orchestra; Bach the inventor of bringing choirs and orchestras together in new ways. So much of what we do in the repertoire of the 19th century and even into the 20th century – oratorios are essentially inspired by Bach. 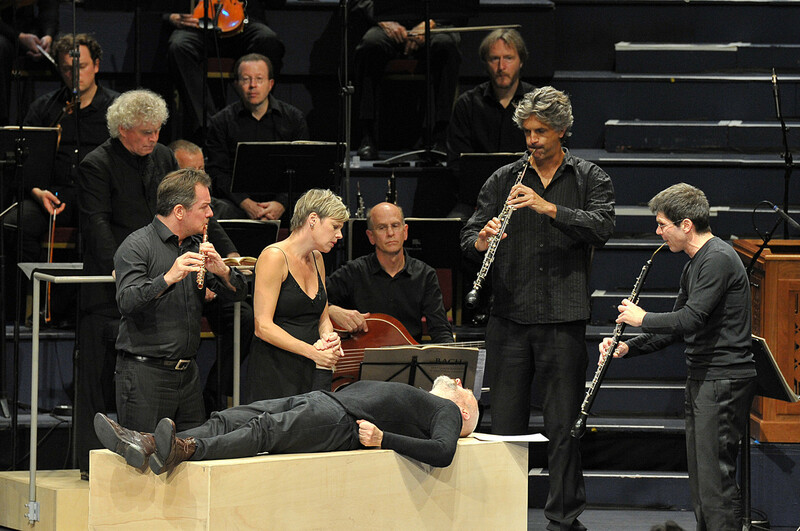 If I pick up a piece – for instance, Michael Tippett’s A Child of Our Time, which I conducted in my second season there, a gnarly, difficult, but very beautiful 20th century British masterpiece – it was inspired by Bach’s St. Matthew Passion. There are links between a lot of the pieces that we delve into from later periods that are directly inspired by Bach. 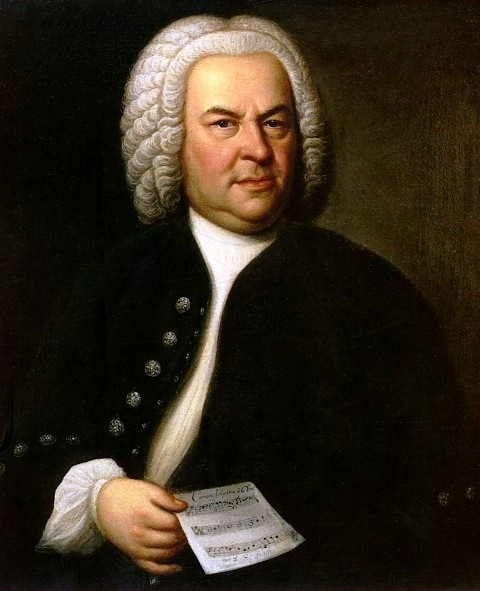 Therefore, it’s “Bach Plus” – it should be called maybe the “Oregon Bach Plus Festival”! because there’s so much stuff going on in such an intensive period of time, and there’s all the educational work as well, which I’m extremely proud of: the Youth Choral Academies, and the Conducting Masterclasses… I think its a summer utopia for musicians who are interested to explore Bach and who are interested in sharing ideas. Maybe modern musicians sitting at breakfast in the morning with historical performers and sharing ideas and this all begins to “tick the box” which I talked about earlier, which is about cross-pollination, and bringing down the barriers between the two worlds. I’m trying, certainly, to increase the emphasis on historical performance, whilst continuing to make sure that we do some of that repertoire in the future with the modern ensembles, but in a stylistic way. You should be able to hear both at the festival. We just set up this new flagship orchestral academy, the Berwick Academy: we had our first summer this year, and it was something that far exceeded my every expectation. We took a real “shot in the dark” here – we perceived that there was a gap – to create a centralized academy for musicians from all over North America, to provide an opportunity for people coming from say, Juilliard, Cleveland, Los Angeles, the Bay Area… somewhere where they could all come, from these small pockets of study in these various great centers of learning and actually spend some weeks together working with guest directors, working with an international faculty, exploring music from the Baroque right through to the Romantic period on the historical instruments. We didn’t quite know what was going to happen, of course this was entirely new and we did an audition tour last year and we had an incredible response. 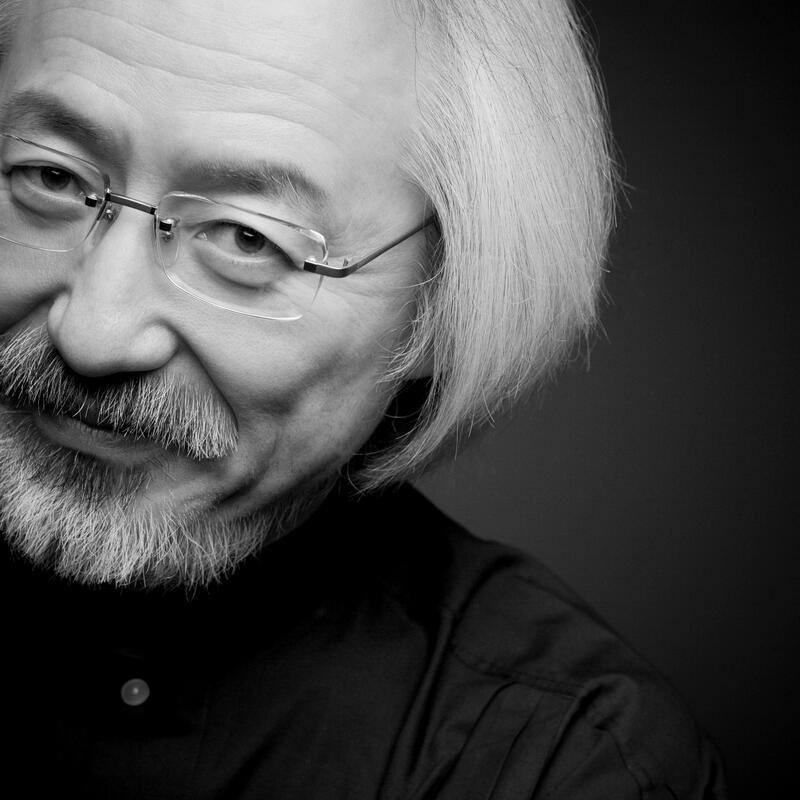 The concerts this summer, both with me and with Masaaki Suzuki, the great Japanese conductor, were astonishing. For Year One, it was a thrilling thing to be a part of, and something that I hope very much will continue to grow, and will start to feed into the American music world. I always think that all you have to do to create new orchestras and new ensembles is get the young musicians together for a long enough period of time for the entrepreneurial spirit to kick in and for the creative ideas to gestate and then, I believe that in five to ten years’ time a lot of these graduates from the Berwick Academy will be the next generation of orchestras, exploring that music in America, and I’m very excited to see how that happens. By walterbitner in Baroque, Choral, Education, Music, Orchestral on November 27, 2015 .